Happy New Year, furniture fans! We’ve spent the past year collecting educational trends, researching new furniture products and spending quality time with all of our valued furniture manufacturers. The results are all complied into new our 2016 printed furniture catalog, full of our favorite and most popular educational products. If you’re already on our mailing list, your new copy should be in your mailbox. If you are a newcomer or just starting a position that places you in charge of school furniture purchases, please request a free catalog today! Flip through a digital copy below and start planning your new year updates. 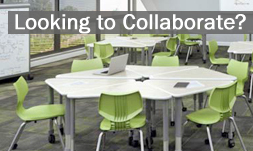 For more school and educational furniture products visit our website.